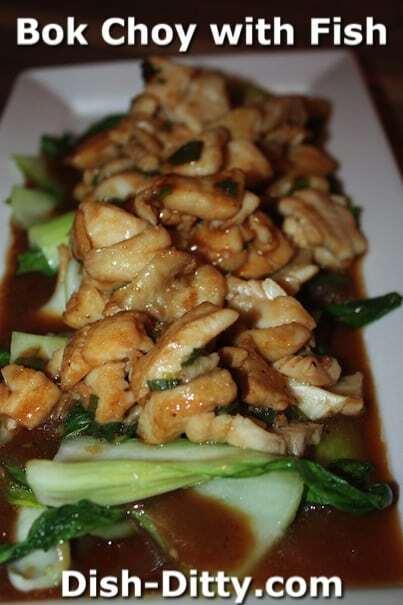 Chinese Bok Choy with Fish is light and healthy meal. Delicious and colorful, this is a great weeknight dinner. Fish is one of my favorite healthy eating choices. Paired with bok choy, it is a wonderful choice for a quick yet healthy dinner. In a small bowl, mix together the black pepper sauce, lo mein sauce, light soy sauce, water, cornstarch and rice wine vinegar. Set aside. In a large pan, heat 2 tablespoons of garlic olive oil. Add the baby bok choy and cook 2 minutes on high, stirring constantly. Remove from the pan and set aside. Wipe pan clean with a paper towel. In the same pan, heat the remaining 3 tablespoons of olive oil on medium-high heat. Add the green onions and fish filets. Cook for a couple minutes or until the fish is almost done, gently tossing the fish being careful to not break it up. Add the sauce and cook for one minute, or until the sauce is bubbly. Remove from heat and serve with rice. 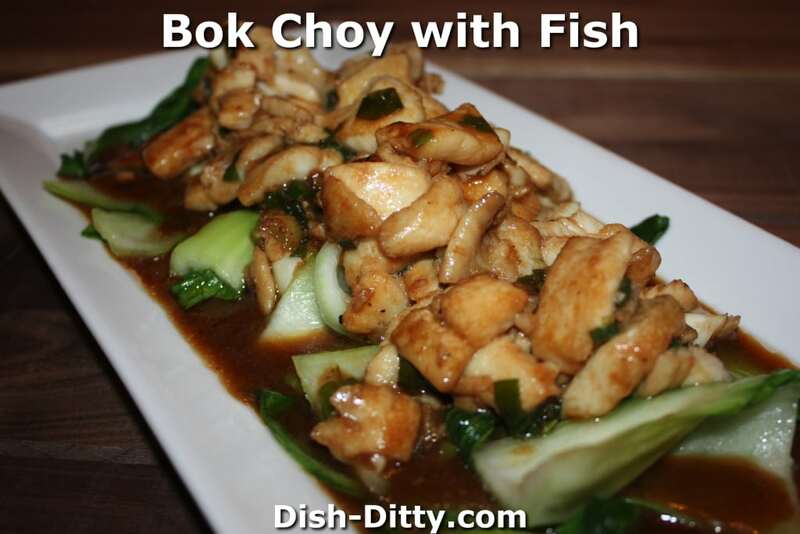 6 Replies to "Bok Choy with Fish Recipe"
when you say “low mein sauce” in your recipe, do you actually mean “oyster sauce”? Actually it’s a type of oyster sauce made by Panda. It’s called Lo Mein Sauce. 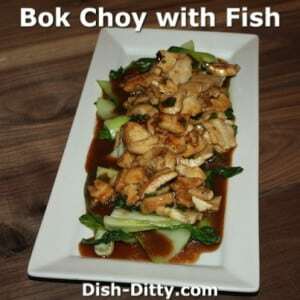 I just added a picture of it to this recipe. If you want to substitute oyster sauce, just add a little sugar and maybe a little chicken bouillon. Other than that, it’s pretty close to most oyster sauces. Where can I find black pepper sauce?